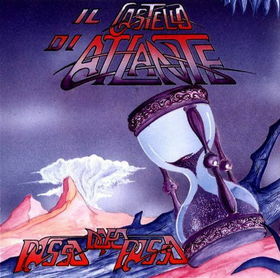 IL CASTELLO DI ATLANTE came together in 1974 when Dino Fiore asked his childhood friend Paulo Ferrarotti to form a band. Their name is taken from a magician called Atlante in Ludovico Ariosto's Romance epic ''L'Orlando Furioso''. They have undergone relatively few changes over the years with the line-up having remained more-or-less the same since 1982. After meeting the band at a concert in 1983, Beppe Crovolla suggested that they work together and in 1990 he invited them to contribute to his New Prog '90 project. When they recorded their first album with Crovolla, the band consisted of Paulo Ferrarotti (drums, vocals), Dino Fiore (bass), Massimo Di Lauro (violin, keyboards), Aldo Bergamini (guitar, keyboards, vocals) and Roberto Giordano (keyboards, vocals). Fiore quit unexpectedly in 2000 and was replaced by Roberto Franco Fava, although Fiore has since returned. 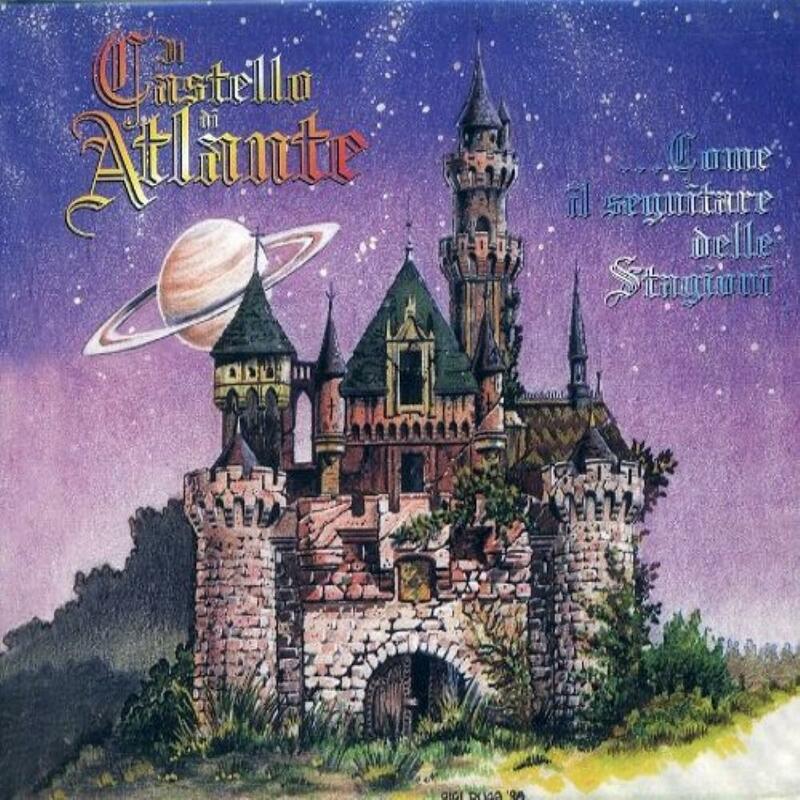 IL CASTELLO DI ATLANTE'S music may not be the most complex or original, but it is highly emotional and beautiful. The Italian lyrics are full of allegories and metaphors, while the music is built around keyboards and choral effects, with violin flourishes and soaring emotive guitar solos. 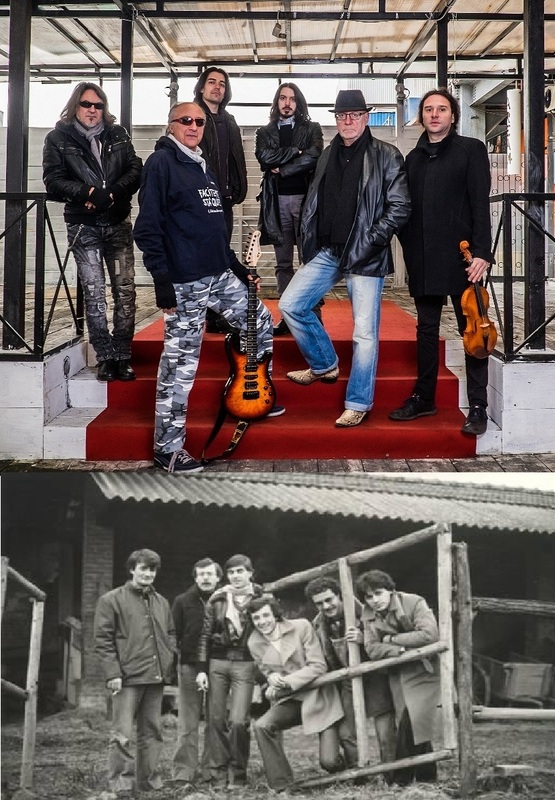 Due to the presence of the violin, comparisons with QUELLA VECCHIA LOCANDA are perhaps inevitable although GENESIS would seem to be the band's main influence. For their first album "Sono Io Il Signore Delle Terre A Nord" (1992) they were able to draw on 16 years worth of material and although it sold well the band's later works are generally of higher quality. Their second studio album "L'Ippogrifo" (1995) is their most laid-back work and is perhaps a bit one-paced. It features a combination of new material and reworked old songs, but overall it lacks the freshness of the debut. "Come Il Seguitare Delle Stagioni" (2000) was the first album to consist of entirely new material. It's a beautiful album that acts as a fine showcase for Di Lauro's expressive violin. In 2003 the band contributed to a conceptual CD based on the Finnish epic poem ''Kalevala''. 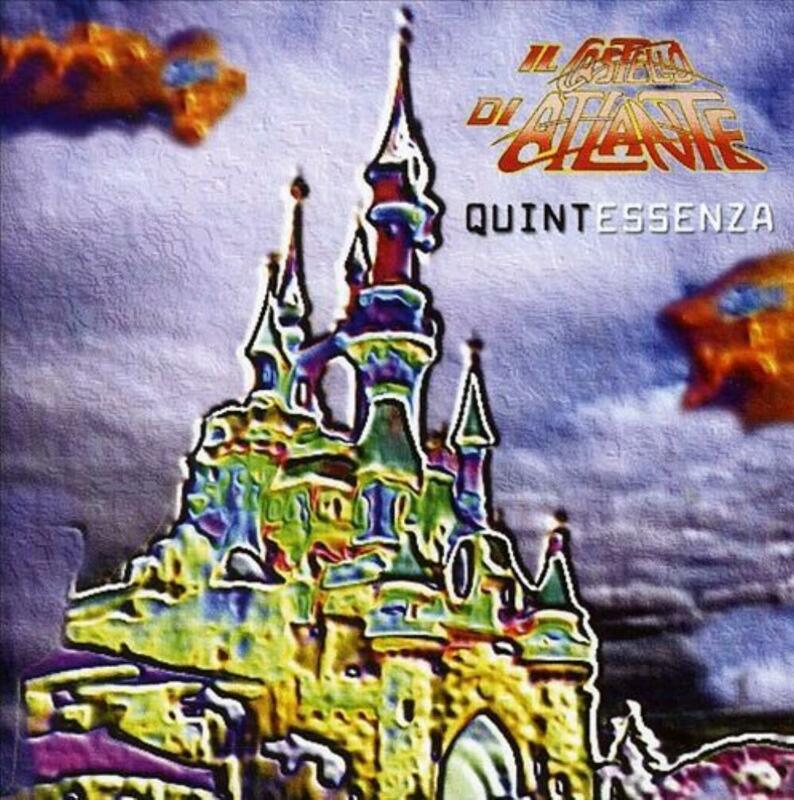 The song they recorded for this project appears alongside some other fine material on the synthesizer-laden ''Quintessenza'' (2004). 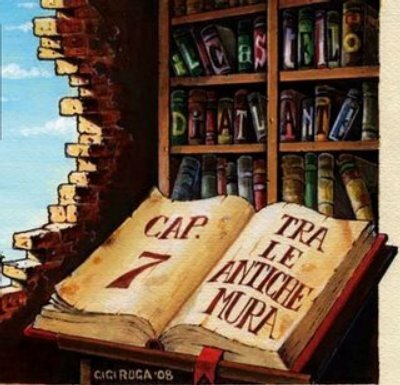 Their most recent album ''Capitolo 7 - Tra Le Antiche Mura'' is generally accepted as their masterpiece. It's based on a literary concept with each song presented as a book, and was selected by the jury of the Italian Prog Awards as one of the best Italian prog albums in 2009. Until 2000 the band had not performed outside of Italy, but in 2005 they took part in the Baja Prog Festival in Mexico. They have subsequently performed in France and Holland, and there are plans to release a DVD later this year of their 2008 Japan Tour. All of their CDs are currently available with the exception of ''L'Ippogrifo''. In addition to its CD release, ''Come Il Seguitare Delle Stagioni'' was also brought out in vinyl, minus one track due to running time constraints; the vinyl version is now considered a rarity. 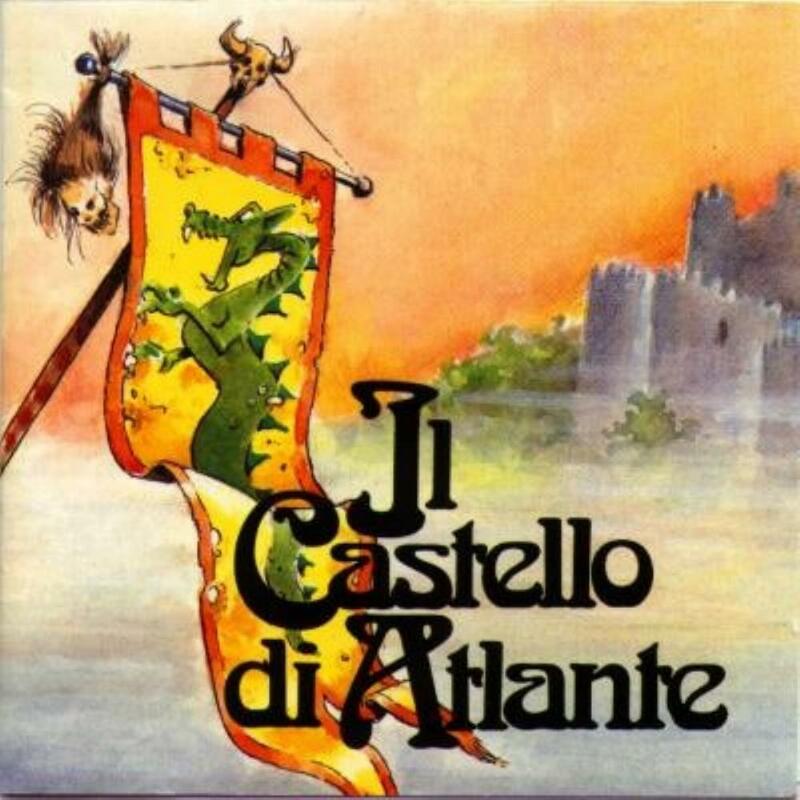 IL CASTELLO DI ATLANTE is a band in the best tradition of classic Italian symphonic progressive rock, with songs that are romantic, melodic and grounded in Italian folk music. Recommended to fans of PFM, LOCANDA DELLE FATE and CAMEL. 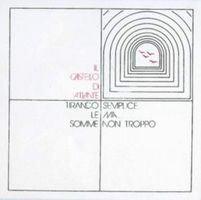 This fine Italian band is rooted in 1974 but it took a while before Il Castello Di Atlante presented their highly acclaimed first album entitled Sono Io Il Signore Delle Terre A Nord, in 1992. It was one of the first new Italian bands I got familiar with in the Nineties (after stumbling upon all those Classic Italian Prog bands in the Seventies and Eighties), along other interesting bands like Malibran, Asgard, Nuova Era, Arcansiel, Eris Pluvia and Calliope. 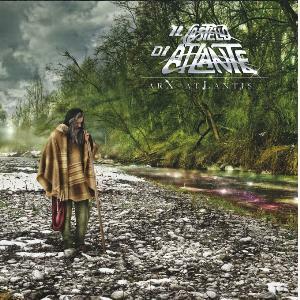 They still make music but it turned out that Il Castello Di Atlante is not a very prolific band: another five albums, in 14 years, their latest Arx Atlantis is from 2016. Il Castello Di Atlante also performed in Mexico on the annual Baja Prog Festival (2005) and later in Japan (2008). This review is about their most praised effort entitled Capitolo 7, made after their tour in Japan. By the way, I read that all members of the Seventies line-up are back, after original bass player Dino Fiore returned, including musical brainchild Roberto Giordano (keyboards, piano, vocals, composer). That is very special, a genuine reunion! Listening to this fifth album (2009) one of my conclusions is that their sound is still a very melodic and harmonic blend of Seventies symphonic rock and neo-symphonic rock (hints of early Marillion). Most of the alternating compositions clock between 10 and 20 minutes featuring flowing shifting moods, often compelling interplay between sensitive electric guitar and varied keyboards and warm (a bit melancholical) Italian vocals. Their strongest point is the tasteful colouring by classical instruments (piano, guitar and violin) and a wide range of keyboards, from bombastic church- organ and fat synthesizer flights to tender Grand piano and delicate harpsichord. Although I miss absolute highlights (fellow reviewer 'Nightfly 'mentioned this also), to me this album sounds as pleasant and accessible progrock that will please the more romantic oriented progheads. When a band has been around for forty years, with a fairly unchanged line-up for more than thirty, it perhaps isn't unsurprising that they know what they are doing. Aldo Bergamini (guitar, vocals), Andrea Bertino (violin), Davide Cristofoli (keyboards), Paolo Ferrarotti (keyboards, vocals, drums), Dino Fiore (bass) and Mattia Garimanno (drums) follow a classic RPI path, with strong symphonic elements, all lyrics in Italian, and plenty of bombast to combine with the different styles they are bringing together. The arrangements are lush, and while the vocals may not be as strong as some may wish, to me they are perfectly matched to the music. Unusually for RPI the drums are quite high in the mix, but this has been done quite deliberately as Mattia has a deft touch, and his various rhythms make the album stand out, along with complex keyboards and wonderful violin. Hugely structured and complex, yet also incredibly enjoyable and listenable, this is a wonderful album for any lovers of this style of progressive rock. While the band apparently regarded this release as a bit of a "comeback" after the ill-advised hodgepodge of "Passo dopo passo", it's rather telling that none of the tracks feature in their Live 2014 album. The violin driven symphonic sound remains intact, alas too much so, with most of the artificially elongated tracks being mired in second gear and second rate repetition of motifs that weren't high end to begin with, some splendid passages notwithstanding. If this were a novel it would be long on character development and suspense but woefully short on plot and resolution, and as music it's just as disappointing. The first track casts the die and only "E Rectito Anch'io" and the closing number modestly succeed in liberating themselves. It's the cumulative effect of squandered opportunities that really sinks this one and renders the whole far less than the sum of its parts. "L'Ippogrifo" is certainly not the stuff of fantastic legends that it purports to be, and is IL CASTELLO DI ATLANTE's weakest album to date. 2.5 stars rounded down. While this long lived RPI band may well never match the succinctness of their 1991 debut, at least it doesn't appear that they are trying to. Instead, picking up where "Tra Le Antiche Mura" left off, they have crafted another multilayered concept that plays to their strengths in melody and arrangement. All primary instruments - guitar, keys, and violins - carry equal weight in the symphonic mix while the vocals are perhaps more insistent than before as befits the story of an elderly man in an eroded frame whose spirit remains as youthful as ever. The group continues with their song within a song approach, which makes the elongated track lengths more palatable, only clearly overreaching in the finale, while pretty much hitting their targets elsewhere, especially in "Il vecchio giovane" and "il tempo di grande Onore", while "Ghino e L'abate di Cligni" takes a step back from the generally uptempo mood and is highly effective as such. In spite of the undeniable beauty of the performances, I don't connect emotionally with their presentation from start to finish, individually or collectively, just here and there. Yet I cannot deny its worth as another installment from this group of friends for whom the friendship has always come before the music, resulting in music that reflects enduring friendship. Although I had found their lateat, Arx Atlantis, to be slightly overbusy, I decided to give Il Castello di Atlante another try with Tra Le Antiche Mura, and I'm very glad I did. This release really hits the sweet spot, providing enough intricacy to please any fan of the symphonic side of Italian prog whilst giving each part room to breathe and not overcluttering the compositions. In terms of atmosphere, the band take us on a wild journey through realms of wonder like those illuminated by PFM or Le Orme to more sinister places, with the epic Malebolge opening with some truly chilling sounds. All in all, an impressive achievement. Interesting release from some stalwarts of the Italian scene. Arx Atlantis is certainly one to pay attention to if you like your prog to be bold and busy, with plenty going on at all times and lead vocals in the operatic tradition set by the likes of Banco in years past. However, I find it ends up losing me partway through (often midway through Ghino e L'Abate di Clignì). Part of the issue seems to be that the band seem to be sometimes a bit overbusy, cramming in solos and riffs and backing music where sometimes it would be better to take a little step back and give the composition a little space to breathe. You'd have to be a hardhearted soul indeed to fail to be moved by the story of this RPI band. To recap briefly, they formed in 1974 and never really disbanded between then and their 1992 debut on Vinyl Magic. They claim that they were united more as friends than musicians during that period. That may be so but the strength of their friendship is the current that powers their music, an enchanting and lovable blend of 1970s RPI and British symphonic prog. In 1993, when informed that their debut had surpassed the lofty sales peak of 3000 units, they were asked, nay commanded, to dispatch a second album pronto. What to do? 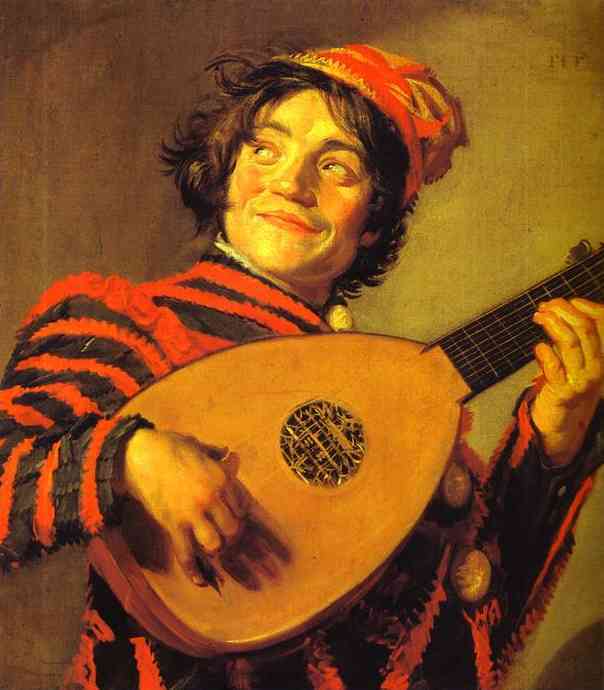 They had yet to fully tap their significant repertoire amassed during 18 years sans record deal, but they had no time to lavish the same loving kindness on the other chestnuts as they had on "Sono Io Il Signore Delle Terre A Nord". So they made the only logical choice - they raided the vaults and the result is "Passo dopo Passo", a mostly live compilation of hitherto unreleased bootleg quality material from the 1974-1984 period, much of it live. The result is bittersweet. If the band had been given sufficient time, many of these pieces could have found their way onto subsequent studio efforts, edited and produced in a manner that does justice to their underlying strengths. As far as I can tell, only one, "Cavalcando tra le nuvole" has been resuscitated in the intervening 22 years, and this is a minor tragedy. The lengthier tracks are just a few washed out bridges from being up to the level of subsequent recordings, while the mid length songs could have graced the debut album and not been out of place with minor cleanup. In particular, the ballad "Alice" (pronounced appropriately as ah-lee-chay), "Omer", the masterful mini epic "La Guerra del Topi", and the dazzling instrumental, "Chorale" (which reminds me oddly of the title cut to CAMEL's "Rain Dances") outshine their skimpy treatment. But honestly, nothing here is weak, particularly given the context. I especially enjoy the prominence of violin and flute as well as the washes of string synthesizer throughout, and the rhythm section is stalwart and accomplished. The positive aspect to wasting these compositions in this manner is that the band could no longer depend primarily on archive material from then on. After "L'Ippogrifo", released fairly quickly the following year, they became very much a going concern in terms of songwriting, production and performance, and have released several high quality disks over the last couple of decades, including a new one this year. My own tastes ally most with the band as they were in the early 1990s, so even though this isn't much better than the old teenage trick of putting a mike to the clock radio speaker - actually, that's probably pretty much what it is - to me the spirit shines through and handily overcomes any obstacles, generously offering, warts and all, the definitive, versions of these low hanging fruit. Step by step indeed. 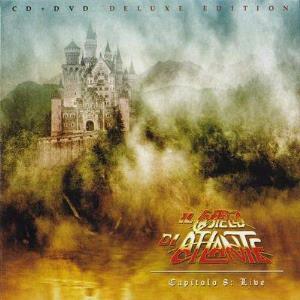 Seven years after their previous studio album "Capitolo 7 - Tra le Antiche Mura" Il Castello di Atlante is finally back with its latest "Arx Atlantis" celebrating the band's 40th anniversary of music career. The band took a new path by evolving their sound and recording techniques, giving this new record a whole new level, maybe the highest point they ever reached: mature arrangements together with a fresh and punchy sound are the main ingredients of the 5 tracks featured in "Arx Atlantis". Aldo Bergamini (guitar, vocals), Andrea Bertino (violin), Davide Cristofoli (keyboards), Paolo Ferrarotti (keyboards, vocals, drums), Dino Fiore (bass) and Mattia Garimanno (drums) painted this dynamic portrait of the most genuine italian progressive rock, telling stories of life experiences through the songs: "Non Ho Mai Imparato", the perfect opener; "Il Vecchio Giovane" the story of an old man that still feels young and tells how important is to still keep on dreaming and open our minds; "Ghino e l'Abate di Clignì" representing a novella from Giovanni Boccaccios' The Decameron - must be noted that this song is featuring Tony Pagliuca (ex-member of the historical band "Le Orme") and will be featured on the compilation "Decameron" for the Finnish progressive magazine "Colossus"; "Il Tempo del Grande Onore" a fresh progressive song with a great orchestration work; "Il Tesoro Ritrovato" a progressive masterpiece where the heart of the musicians can be felt beating underneath the harmony weaving. 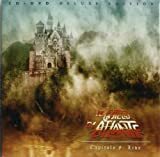 "Arx Atlantis" turns out to be one of the best album so far by Il Castello di Atlante, a perfect element for every prog lover to have in their music collection. 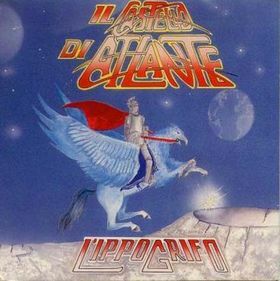 Italian band IL CASTELLO DI ATLANTE was formed back in 1974, and has been an active band unit ever since, making itself one of Italy's longest running progressive rock bands at this stage with an history going back more than 40 years at the time of writing. They didn't release any material until the early '90s however, but since the release of their debut album in 1992 a grand total of five studio and three live albums have been released. "Capitolo 8: Live" is their most recent production, released through Azafran Media and Musea Records in 2014. Il Castello Di Atlante is an experienced band unit, and you can tell by the performance that this is a band that is secure in a live setting, both in terms of stage presence as well as the overall performance. As such this live CD and DVD dual package does represent the band in a fine manner. The sound quality is, if not lacking then at least unusually mixed, for my ears. The slightly closed in sound and what sounds like an emphasis on bass and drums doesn't quite suit a progressive rock band in my opinion, and for me and my taste in how music ideally should sound this live production doesn't manage to convey this band at their best. It is a well made production though, and as I guess there won't be too many additional live DVDs forthcoming from this veteran band, their existing fan base obviously should get a copy of this one before it's sold out. Those new to this band should probably give some of their studio albums a check prior to this one. 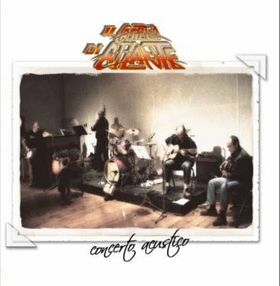 No less than six would pass before another Il Castello di Atlante studio album becomes available, but the band was always a regular live entry with numerous gigs in their calendar.Then in 2006 comes ''Concerto Acustico'', an attempt by the group to bring up an unplugged version of their songs.This was also the last contribution of Franco Fava with the band, but marked also the return of orginal bassist Dino Fiore in the line-up.Things start to heat up in 2008 with a new song composed for the Musea multi-band compilation ''Dante's inferno: The divine comedy part I'' and the following year the new album ''Capitolo 7-tra le antiche mura'' sees the light.Of course Electromantic was once again the label to publish another album by the Italian veterans. With four out of the seven tracks exceeding the 10-min. mark, this is another goodie by Il Castello di Atlante, a smooth experience of Italian-flavored Symphonic Rock, filled with refined melodies and deep atmospheres, colored by Mediterrenean brushes and traditional shades, performed by a veteran group, which is not afraid of attempting quirky, demanding moves and very long instrumental ways.The new album contains also one of the longest compositions ever recorded by the band, the 20-min. 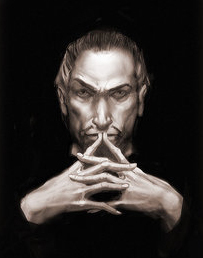 ''Malebolge'', a shorter version of which appeared in the aforementioned Musea concept compilation.The inspiration of the band seems just endless.The compositions contain excellent poetic singing, dramatic tunes with sharp synths supported by crying guitars, bombastic instrumental themes with symphonic tastes and folkier textures with great violin work.There is still a certain emphasis on modern keyboards by Roberto Giordano, an instrument that dominates the album, with only sporadic organ parts but lots of calm piano lines throughout, there is always a feeling that they could reach a higher level with the use of analog keyboards.Nonetheless, the album is no empty of impressive arrangements and elaborate melodies, not to mention the comfort on switching moods.Classy Prog Rock with an intense, symphonic sound in the best Italian Prog tradition. 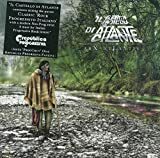 You simply can't go wrong with an Il Castello di Atlante album.All of their works range from good to great and this one lies somewhere inbetween.Strongly recommended...3.5 stars.